Modern, stylish Suite offered in Small and Standard sizes throughout with additional Royale size on all Recliners. Smaller Petite size also now available on Fixed and Reclining 2-Seater Settees, Fixed Chair and Manual/Powered Recliner in addition to matching -Lift + Rise-Recliners. The beautifully contoured shape is designed for exceptional comfort, with soft, stylish arms, welcoming fibre-filled back cushions and full-width -chaise- seating. Using the same super-smooth actions as the Recliner Chairs, the Reclining Settees are supplied in two easy bolt-together sections with removable backs. 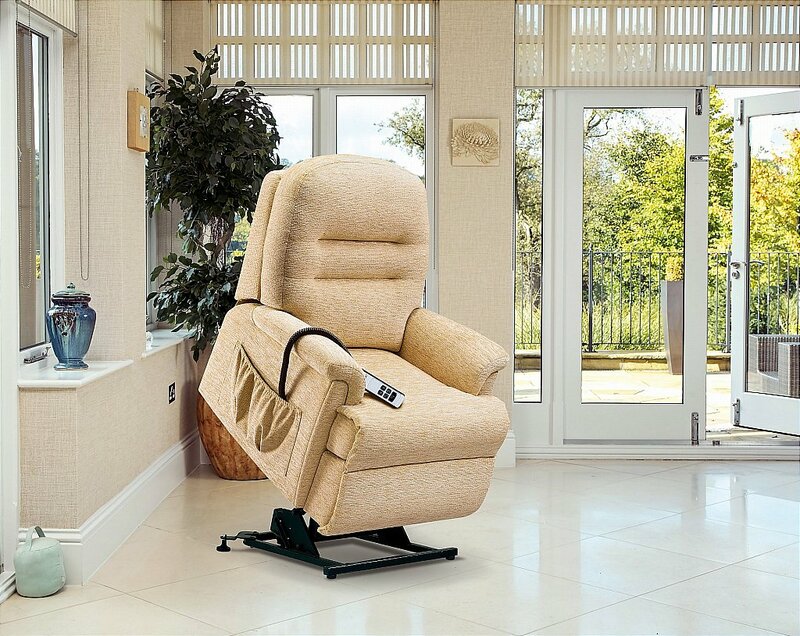 I would like more information about Keswick Petite Lift + Rise Chair by Sherborne.